A workshop at the German Broadcasting Archive on flight and expulsion proves the necessity of an eye-to-eye cooperation between archivists and media historians. Sooner or later every historical research comes down to a simple but crucial question: the archives. In the case of media history, this can lead to major diplomatic endeavours, as a media historian’s work very often relies on private archives from media enterprises, plus, audio or audio-visual material implies specific challenges in terms of accessibility or copyrights. Thankfully, academic and political awareness for the importance of alliances between media historical archives and research has been growing a lot recently (see for example here, here or here). Still, every well-functioning cooperative very much depends on people actually knowing each other and working together (last but not least, best-practised by the EMHIS-network). 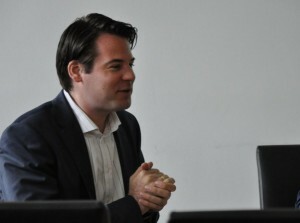 Establishing these new bonds between broadcasting archivists and historians was the aim exactly of a workshop taking place at the German Broadcasting Archive (DRA) in Frankfurt am Main on June 18/19, 2015. 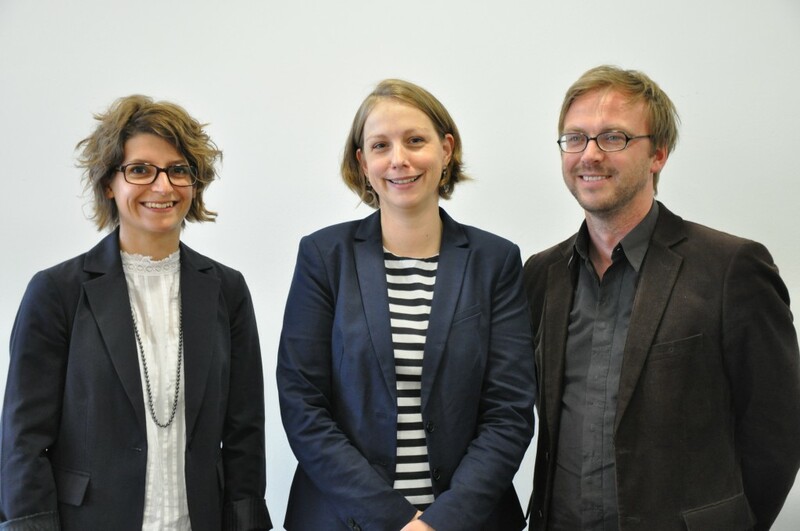 Together with our colleagues from Augsburg University, Prof. Maren Röger, and Oldenburg University, Dr. Stephan Scholz, EMHIS-member Dr. Hans-Ulrich Wagner and I organized the workshop. Centred on the historical topic of flight and expulsion of Germans in the end and aftermath of WWII, the workshop brought archivists from most of the German public service broadcasting stations and researchers from the areas of media history, memory studies and research on forced migration together. Archivists presented material from their broadcasting archives; researchers flanked these empirical findings with methodological advice and insights into the broader historical contexts. Apart from Hans-Ulrich Wagner and myself two other EMHIS-members were on board in Frankfurt: Christoph Hilgert and Dr. Yvonne Robel. Prof. Inge Marszolek, who was a guest at the EMHIS-Forum III in Hamburg in November 2014, joined the workshop as well. For a start, Christoph Hilgert mapped the field: He gave an excellent overview over the very promising, yet scarcely researched area of German broadcasting programmes dealing with flight and expulsion after 1945 (see his handbook article on this topic as well). 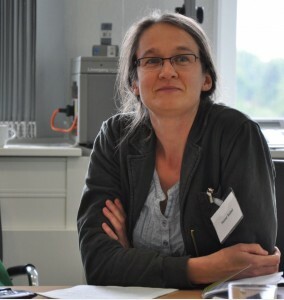 Yvonne Robel presented an intriguing case-study based on her findings on the “Suchkind”-stories, a cross-medial phenomenon flourishing in West-Germany in the late 1940s and 1950s. Yvonne stated how these stories about a refugee mother and her lost child became iconic topoi of loss and homesickness, which are essential elements of many narratives of flight and expulsion, as Prof. Bill Niven from Nottingham Trent University happened to have claimed in his talk the day before. Particularly sensational to many participants of the workshop, it seemed though, were the archivists’ presentations. Not only did they surprise the audience with their magnificent findings from their ‘treasure chambers’ at the broadcasting stations, they also managed to explain these in a very entertaining and, I dare to say, thrilling way. Bettina Hasselbring from Bayerischer Rundfunk (BR) in fact spoke of a “Polit-Krimi” at BR, summarizing how attempts of functionaries from the expellees’ associations and parties to influence Bavarian broadcasting programmes in the 1950s resembled a political thriller. Also the presentations by Jana Behrendt and Tobias Fasora (both SWR), Petra Witting-Nöthen (WDR) and Dr. Jörg-Uwe Fischer (DRA Potsdam) really stood out and gave a whole new dimension to the workshop’s programme. Hence, apart from the great progress researchers could make in learning more about a broadcasting history of flight and expulsion, this workshop really proved how important it is for historians to build true personal networks with archivists. We need to meet at eye-level and integrate their knowledge to our work, especially when new, bigger research projects are about to start, as it is so important to gain a reliable overview over the existing sources. Hopefully, this workshop can set an example. Check out the following radio interviews and articles (here, here, here and here) for further information. This entry was posted in Archives, Hamburg, Seminars. Bookmark the permalink.